BURLINGTON, Mass. – PetPace, the world leader in wearable technology for pets, rolled out the first phase of its new analytics solution for pet owners, veterinarians and researchers interested in better understanding the context and meaning of pet behavior and health. The new PetPace Bio-ResponseTM platform creates an association between events in the pet’s life with physiological and behavioral data collected by the PetPace smart collar. The system’s advanced analytics help the user detect patterns in the data, hence providing unprecedented insights to the pet’s condition in relation to the event. 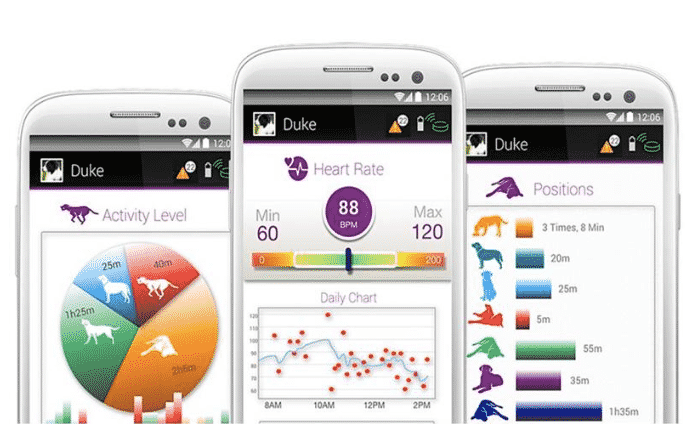 For example, the system allows an owner of an epileptic dog to mark when her dog had a seizure as an “event.” The PetPace system automatically summarizes and presents relevant data surrounding the event, like changes in pulse, respiration, temperature, activity, positions, heart rate variability (HRV) and more, in a clear and informative manner, that will help the pet owner understand how a seizure looks like in the data. The pattern that emerges is then used to detect future events. The PetPace Bio-ResponseTM system works by collecting and analyzing physiological and behavioral data in response to certain events and interventions. Officials from PetPace believe the system is a groundbreaking approach to health monitoring. Pets wearing a PetPace collar continuously accumulate huge amounts of precious data about their body functions and response to events. Events can be simple every day occurrences like taking a walk, eating or sleeping, medical episodes like a seizure, lameness, or itching, and specific interventions, like giving medications or treatment, and more. Applying advanced mathematical models and machine learning to the relevant data surrounding these events culminate in the determination of “data patterns” that are typical for the event in question. Next, the system uses the patterns to develop tools for real-time detection and prediction of the events, even if the pet is not observed at that time. According to PetPace, this is the first time that medical or behavioral conditions can be detected remotely and analyzed automatically without the need for human observation or intervention. It can potentially be used to improve patient care for almost any kind of condition, from congestive heart failure to separation anxiety. Whatever the condition in question is, the user can teach the system to learn the patterns of data that are associated with that condition, and then apply the patterns for remote detection. For more information about PetPace or PetPace products, please visit www.petpace.com. PetPace creates innovative technology that delivers peace of mind to pet owners. Our smart IoT pet collar continuously monitors the wellbeing of elderly, sick, healthy, and at-risk dogs and cats, alerting caregivers remotely and immediately of changes in key health parameters. In the home or in the clinic, PetPace leverages data gathered non-intrusively from onboard passive sensors and advanced cloud-based analytics to keep all pets healthier and happier. Founded in 2012 and privately-held, PetPace is headquartered in Israel, has a U.S. headquarters in Burlington, MA, and a global sales presence. For more information, please visit www.petpace.com.